Three photos of "Vegas" project were published on Financial Times on April 6, 2018. 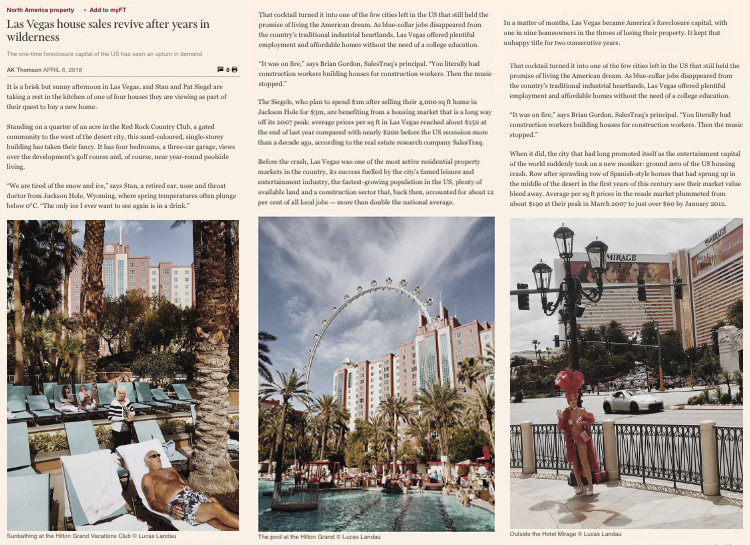 I would like to thank the picture editors of Financial Times for choosing these photos that I like so much made with an iPhone 6 to illustrate an article about Las Vegas. Click on the image to see full gallery. Clique na imagem para ver as outras fotos de Las Vegas.